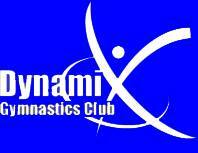 Dynamix Gymnastics Club was set up in November 2013 in Braintree Essex by Donna Williams. We believe gymnastics should be fun and want to share our love for gymnastics with you. Click here to read the full Mission & Vision statement. Notley High School in Braintree on Monday, Tuesday, Wednesday, Friday evenings and Saturday morning.